Weave spells to heal your allies and smite your enemies as a white mage arcanist! Looking for high-quality character artwork to use in your campaigns? Searching for an interesting character to use as your desktop wallpaper? Characters-By-Level has you covered! What is Characters-By-Level: Game Avatars Edition? 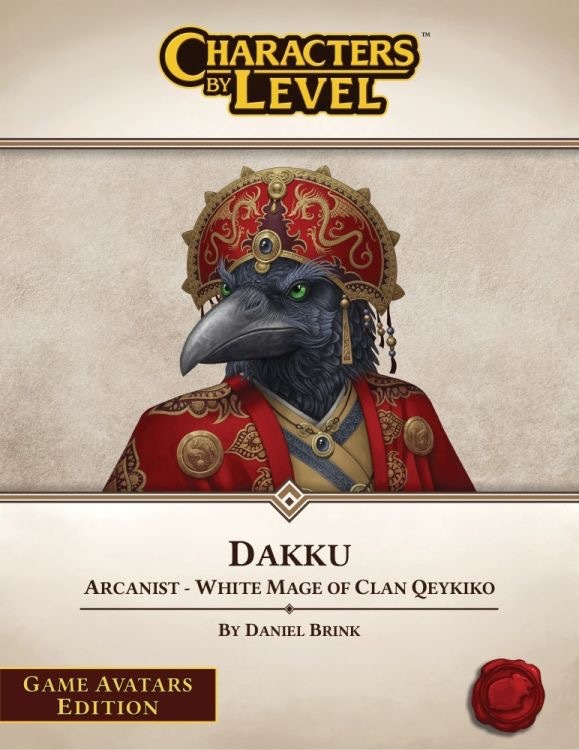 Game Avatars (GA) is our RPG gaming accessory that only contains the character artwork files from our Characters-By-Level (CBL) product line. It is for those who don't play Paizo's Pathfinder Roleplaying Game or other RPGs that we support, but still want to use our character artwork in their games. * Note: With the exception of our virtual tabletop tokens and website avatars, all Characters-By-Level digital files are for offline personal use only. Sign in to start a discussion about Characters-By-Level: Dakku—Game Avatars Edition Download!